Home / Articles tagged with "computers"
Take these steps to ease electronics’ effects on your eyes. Computers make our lives easier, but taking notes the old fashioned way provides important benefits for students. A psychologist shares tips for parents on keeping kids away from the screen all day. Researchers say opening your inbox less can reduce your anxiety levels. With the advancement of technology comes a greater need to safely recycle and dispose of old devices. Are kids too addicted to mobile devices? The American Academy of Pediatrics is asking parents to limit kids’ entertainment screen time. 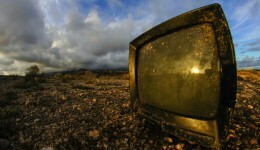 Find out why the days of limiting TV for kids is over for many young parents.